Overcooked 2‘s new game+ mode may have just gotten its release date. It was hinted at with this video, which washes “October 3rd” onto a sandy shore. And with Overcooked 2’s new game+ already confirmed to arrive in early October, this seems fairly likely. Let’s look at the Overcooked 2 teaser. Still, there’s always the possibility that something else could be coming to Overcooked 2 in addition to New Game+. People seem to be in the Halloween spirit, so maybe a timed holiday event is in the works? You can expect Overcooked 2‘s New Game+ to be a full restart of the game, adding a fourth star to all forty-five levels. It’s a big challenge to get a three star rating, but sometimes raising the ceiling is what it takes for players to step up their game. 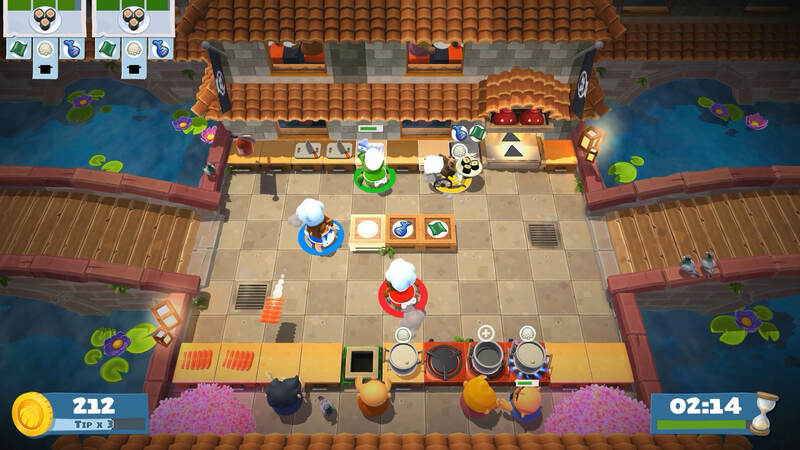 Personally, I don’t have the sauce for this, but Overcooked 2 completionists will be happy (or burdened) to have a new reason to go back to this multiplayer indie hit. If you’re new to the franchise or didn’t make it to this sequel, be sure to read our review of Overcooked 2. Will you be digging into this New Game+ when it releases? Do you ever take advantage of New Game+ modes in general? Let us know in the comments below.